February 8, 2011 - Northrop Grumman Corporation 's Europe-based air traffic management subsidiary, Northrop Grumman Park Air Systems, has been awarded a contract to provide a Runway Status Light (RWSL) Control System for Charles de Gaulle Airport, Paris, the first European airport to implement this safety feature. The RWSL Control System is an automated system that warns aircraft and vehicles if it is safe to enter or cross runways through a series of lights embedded in the pavement. The contract, awarded by Direction des Services de la Navigation A?rienne, Direction de la Technique et l'Innovation (DSNA-DTI) of France, is to be completed by end of 2011. "Winning this first European RWSL contract is a major achievement which confirms Northrop Grumman Park Air Systems' position as the leading supplier of advanced air traffic control surveillance systems," said Eldar Hauge, managing director for Northrop Grumman Park Air Systems in Norway. "We are already a leading European supplier of Advanced Surface Movement Guidance and Control Systems (A-SMGCS) for some of the largest airports in Europe and Asia Pacific. RWSL can be offered as an upgrade to any A-SMGCS, regardless of make, and will give Northrop Grumman Park Air Systems a competitive edge in projects where RWSL is a requirement." Northrop Grumman Park Air Systems is also supplying the A-SMGCS which connects to the RWSL Control System, offering the best technical solution and providing added safety to busy international airports. The A-SMGCS comprises the NOVA 9000 display processing system and surface movement radar. NOVA 9000 delivers enhanced air traffic control capabilities and ensures air traffic controllers have a clear view of ground movements under normal and low visibility operations. With a 50-year legacy in air traffic management systems ranging from individual airport installations to countrywide, multiple-site turnkey integrated system solutions, Northrop Grumman's state of the art air traffic management systems are operationally controlling air traffic in numerous countries around the world including recent major programs in: Norway, Brazil, Qatar, Oman, Canada, India, Poland, UAE, U.S. and the U.K., in both civil and military applications. 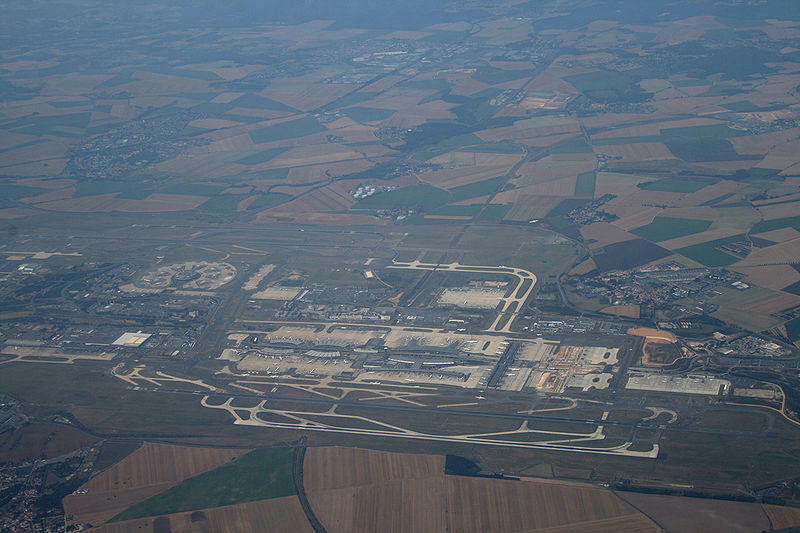 Paris-Charles de Gaulle Airport also known as Roissy Airport (or just Roissy in French), in the Paris area, is one of the world's principal aviation centers, as well as France's main airport. It is named after Charles de Gaulle (1890?1970), leader of the Free French Forces and founder of the French Fifth Republic. It is located within portions of several communes, 25 km (16 mi) to the north-east of Paris. The airport serves as the principal hub for Air France and is a European hub for Delta Air Lines. In 2009, the airport handled 57,906,866 passengers and 525,314 aircraft movements, making it the world's sixth busiest airport and Europe's second busiest airport (after London Heathrow) in passengers served. It also is the worlds seventh busiest and Europe's busiest airport in aircraft movements. In cargo traffic, the airport is the fifth busiest in the world and the busiest in Europe, having handled 2,054,515 metric tons of cargo.